Capel Salem is in the small village of Talysarn located in the Nantlle Valley looking towards the west face of Snowdon. Since it lies on the edge of the Snowdonia National Park there are many B&Bs and hotels in the area to choose from though Talysarn itself does not have any shops or restaurants. One place to stay is Ty Mawr. This B&B run by Menno and Emma is in Rhyd Ddu at the foot of Snowdon and is about a 15 minutes’ drive away. Alternatively, you might like to try Trigonos in the village of Nantlle or Mrs Naomi Williams at Llwyndu Mawr farm (near Penygroes). 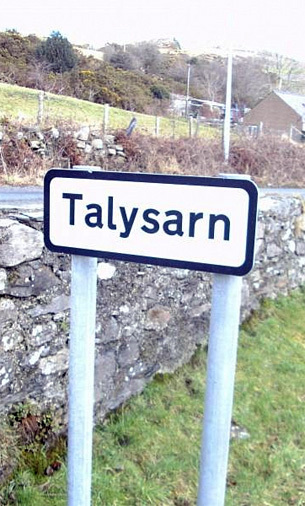 There is a 1 bedroom semi detached house sometimes available in Talysarn (ring Clare on 07580 036393). The Rhos-yr-Unman Caravan Club site is not far away. Telephone 01286 880657. Just up the road from the workshop is Ashcoast House (http://www.ashcoast.co.uk/). Llety Y Fron (http://www.canolfanyfron.org/llety/) offers accomodation for numbers from a single person upwards. Also there are many holiday cottages to let in the area (just type in ‘holiday cottages to let in the Caernarfon area’ in your search engine) as well as other B&B’s, independent hotels such as The Black Boy, Travelodge and Premier Inn. It's up to you how and where you want to stay.